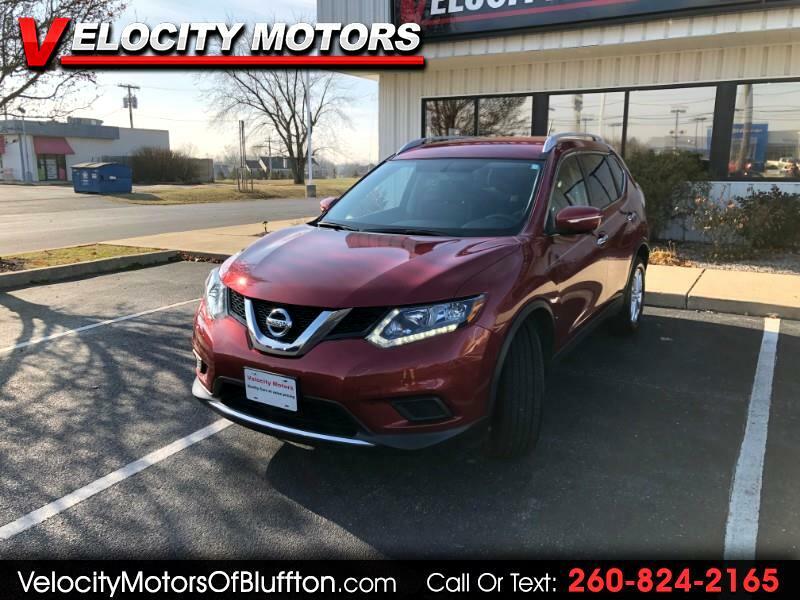 Used 2015 Nissan Rogue SV AWD for Sale in Bluffton IN 46714 Velocity Motors, Inc.
CLEAN CARFAX!! NO ACCIDENTS AND ONLY ONE PREVIOUS OWNER!! GREAT SERVICE HISTORY AS WELL!! This is a very well equipped 2015 Nissan Rogue that was very well maintained and is very very clean!! Along with a brand new set of tires, this Rogue comes with heated seats, back-up camera, Bluetooth, touchscreen radio, sliding and reclining rear seats and great gas mileage(25 MPG City, 31 MPG Highway). You need to come in and take this Rogue for a test drive today!! Velocity Motors is a one-stop shop when it comes to purchasing a vehicle. We service and detail all of our vehicles before they get to the lot. We offer in-house financing and extended service contracts on all of our vehicles. Reach either Steve, Kramer or Rob during open hours at 260-824-2165 and after hours Steve 260-433-5072 and Kramer 260-223-4496.